Santa Claus: The Movie hands down wins this one, I've watched that film every year for as long as I can remember. It was released in 1985 so I don't remember a Christmas without it. I've always opened one present on Christmas Eve, it's usually socks or something equally small, then my stocking in the early hours and finally the bulk of my presents on Christmas morning. Now though I open one lot around midday with my Mum, then we all drive over to my Dad's where I open more. Neither my brother or I have children so even though we're older we still get the same amount we always did. It's not really one special moment, rather a tradition that I used to love, and that's opening our stockings when we were young. My brother and I would wake up at around 4 am (whoever was awake first would wake the other), then we'd run into our parents room, jump on their bed waking them up and open our stockings. I often get a stocking now, but obviously traditions have changed somewhat. I don't eat anything at Christmas that I don't the rest of the year. I know most people go mad at Christmas, but I usually just have the typical Sunday roast, obviously with vegan 'meat' and gravy though. I don't get extra sweet stuff in or anything extra, though I might get baking this year. When I was young I asked for a Mr Frosty machine for years until I finally received it, and even though it wasn't great it's the one thing that really stands out to me because I wanted it so badly. For a practical present though I'd have to say my first mobile phone. I got it the Christmas after I passed my driving test so I could always call home if something happened to the car, I didn't even ask for one but was over the moon with it. I have to give an honorary mention to last year's present off my brother, he got me a panda adoption and I burst into tears like a woos. I've always loved pandas and used to collect them, so it meant a lot. Pretty much anything spicy. I'm still loving the Apples & Cinnamon candle I posted about in my October Favourites and have recently fallen in love with the Lord of Misrule Perfume from Lush, I have a feeling that bottle's going to be almost empty by the new year. 7. Favourite Christmas Eve traditions? Other than doing last minute wrapping (which I swear every year I'm not doing, but still manage to) I don't really have any. I do like to settle down on my bed with a good Christmas film in the evening, does that count? This year it's a big light up snow flake, I'm yet to find the perfect tree topper, and in the last few years it's been topped with stars, angels and some weird thing I don't even know what it was. I'll keep looking until I find what I want. 9. As a child, what was the one (crazy, wild, extravagant) gift you asked for but never received? I really don't think there was anything. It's not that we were rich, but if I really wanted something my parents would find a way to make it work, and I never really asked for anything crazy anyway. There were no laptops, computers, mobile phones etc. when I was growing up, things were much simpler. Spending time with my family. My parents are divorced, and they get on really well, but it's the only day of the year that all of us spend proper time together. I could go without the presents and fancy dinner, but I couldn't handle not being with them all at Christmas. 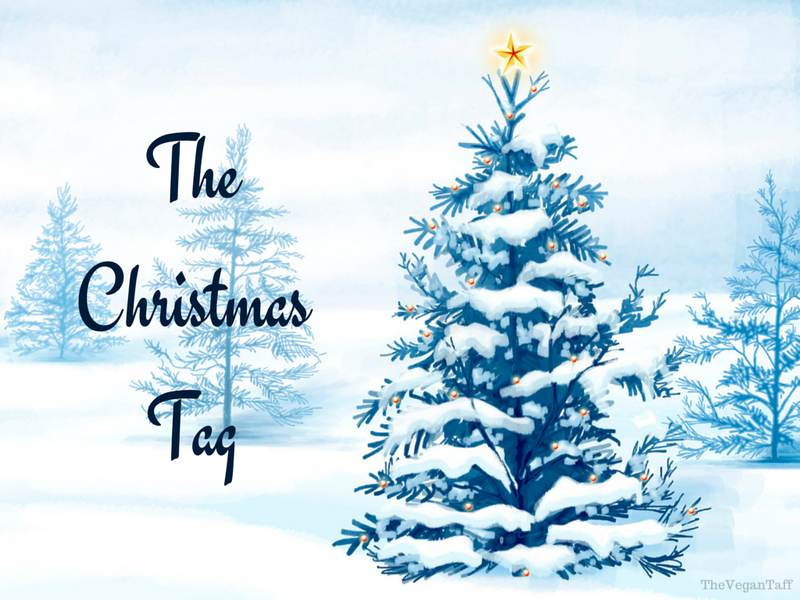 I tag Ffion of A South Wales Blog, Jasmin of Jasmin Charlotte and Amanda of Polish & Plates, of course anyone else who wants to do this is more than welcome to, I'd love to read yours so please leave a link below.